Known as one of the seven natural wonders of the world, the Victoria Falls has attracted travellers from all over the world for over a century. But what, besides the Victoria Falls themselves, makes this place interesting? 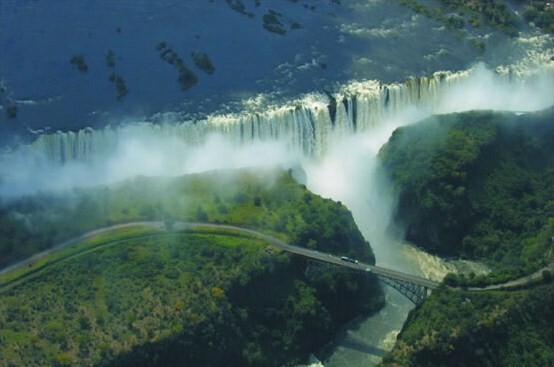 On this site, visitors face the 1.7 kilometres wide Zambezi River, and watch it plunge over 100 metres down the gorge, giving the Victoria Falls the largest curtain of falling water and making it the largest waterfall in the world. The Victoria Falls Rainforest faces the mighty falls and constantly receives showers from the spray of the falls, all year round. For about 800 kilometres (including the length of the Kariba Dam) the Zambezi River follows the northern boundary between Zimbabwe and Zambia. 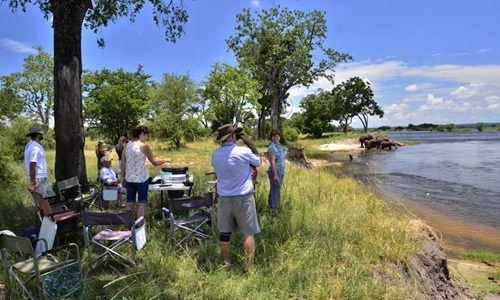 The upper Zambezi is generally serene apart from a few mild rapids here and there, and is spotted with a handful islands. The 80 kilometre stretch of the upper Zambezi runs from the Chobe River (where Botswana, Namibia, Zambia and Zimbabwe meet) to the Victoria Falls. After the waterfalls, the river is characterised by wild rapids and whirlpools which give rafting enthusiasts an amazing experience in the gorges. 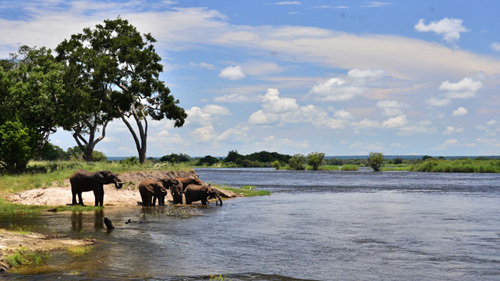 Covering an area of 56 000 sq kilometres, the Zambezi National Park spans from Victoria Falls town westwards to the border with Botswana and is home to several animal species including big game such as elephants, buffalo, leopard and giraffe. There are a number of accommodation options within the park from budget and self-catering to luxury lodges, all facing the Zambezi River. 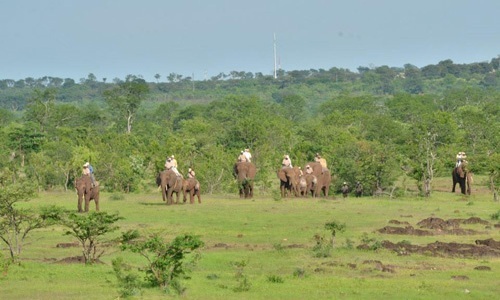 Activities within Zambezi National Park include fishing, game drives, game walks, and canoeing. There are designated areas dotted along the river banks which are great for picnics and barbeques. 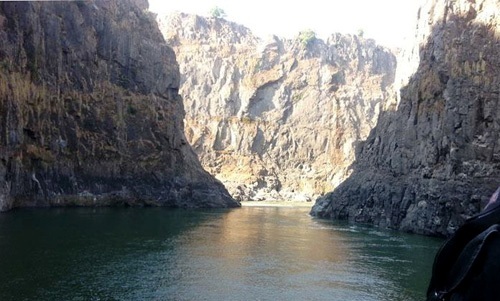 The Zambezi River Gorges are a true illustration of the power and force of the Zambezi River over time. Starting from the Victoria Falls, the 100 metre deep chasm zigzags and then meanders for about 133 kilometres on the Zimbabwe-Zambia boundary, alternating in height and width along the way. 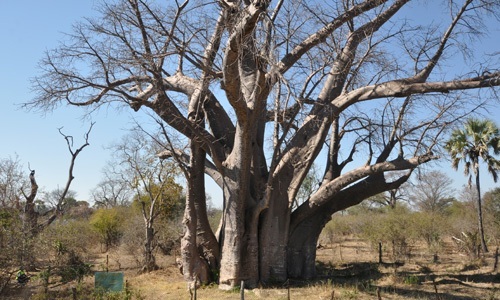 One of the largest in Zimbabwe, The Big Tree is said to be between 1400 and 2000 years old. This baobab tree is more than 20 metres tall and has a circumference of about 22 metres. 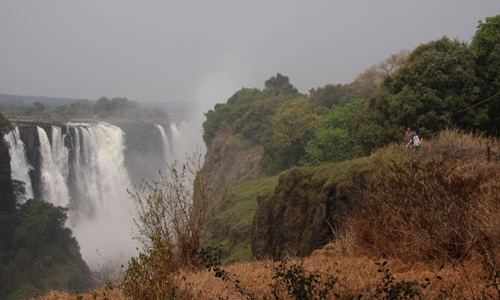 It is located on Zambezi Drive in Victoria Falls National Park, just 2 kilometres from the Victoria Falls town. From adrenalin and cultural activities to scenic and wildlife options, the sheer number and variety of activities on offer in Victoria Falls most certainly makes the place the “Adventure Capital of Africa”. One can witness a wonderful natural phenomenon during full moon days, when the Victoria Falls Rainforest opens its doors in the evenings so that guests can enjoy a lunar rainbow tour of one of the seven natural wonders of the world. While it is not the oldest building in town, the Victoria Falls Hotel is the oldest hotel in Victoria Falls. It was built in 1904 during the construction of the rail way line and Victoria Falls Bridge. It was actually meant to be taken down once construction was complete, but the influx of visitors to Victoria Falls made it difficult to shut it down. 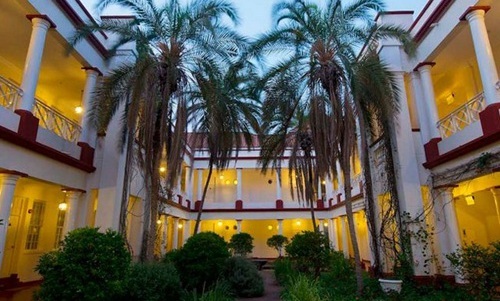 Over the years, the Victoria Falls Hotel has evolved in size, beauty and extravagance into the only 5-star hotel in town and has seen patronage from royalty, celebrities and statesmen. It has fantastic views of the gorges and the Victoria Falls Bridge.